For the first time, Colters’ Woman and the two short story sequels, Colters’ Wife and Callie’s Meadow are now available in one edition and are listed in the order of the story timeline. Adam, Ethan and Ryan aren’t looking for women. They’re looking for a woman. One woman to share their lives and their beds. They don’t want a casual romp in the hay, they want the woman who will complete them and they’re losing hope of finding her. That is until Adam finds Holly lying in the snow just yards from their cabin. He knows she’s different the minute he holds her in his arms. But before Adam gets his hopes up, he knows he has to gauge his brothers reactions. Soon its evident that she’s the one. There are a few problems, however, like convincing her she belongs with them and keeping her safe from the man who wants her dead. Colters’ Wife follows Colters’ Woman as it occurs a few months after the conclusion of Colters’ Woman and Callie’s Meadow is the final story in the compilation, taking place 8 years after Colters’ Woman, featuring the birth of the only Colter daughter, Callie. 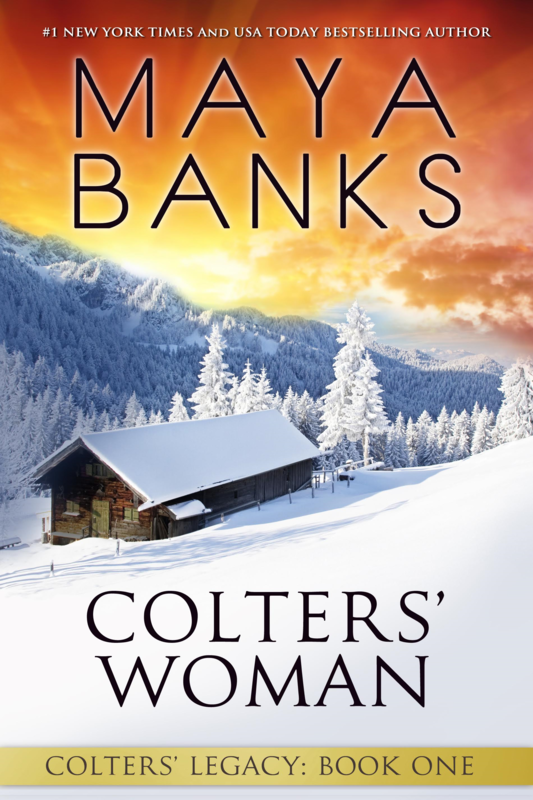 Colters’ Woman has been revised and re-edited since its original 2006 release, as well as expanded with a new ending. It was as if they made such proclamations every day. She shook her head and speared another piece of egg with her fork. How could such a relationship work? Jealousy would be inevitable. And things would be much more difficult for her than for any of them. They would only have one “spouse” to contend with while she would have three. Ethan was the easiest going of the three brothers. She relaxed around him. It was a natural reaction. Even if she didn’t know Adam was the oldest, it was as clear as if it was written across his forehead. And even though he had gone to great lengths to make her feel at ease, she knew he could be dangerous when crossed. He exuded power and authority, wore it like a mantle draped around him. Her gaze flitted sideways to Ryan. He was an enigma. The only one she didn’t have an idea formed about already. He was quiet and serious, but more than that, she saw pain in his eyes. Like her, he’d seen the darker side of life. “Are you all right?” Ethan asked. “Just a headache,” she replied. “What’s on your mind, baby?” Adam asked. Was she that easy to read? Could they already see inside her mind and soul? Her fingers tensed on her fork for a moment as she contemplated denying that anything was on her mind, but Adam’s honesty compelled her to be equally honest. She didn’t miss the triumphant smiles passed between the brothers. Surely to them, this was a sign they were making headway. And maybe they were, as insane as she was to even contemplate it. “Anything in particular you want to talk about?” Adam prompted. Cocky, self-assured grins adorned the three men’s faces. “Damn, Ryan, why didn’t you speak up earlier?” Ethan said in amusement. “The first order of business is to go into town and buy you some clothes and whatever else you need,” Adam said, changing the subject. “But I don’t need anything,” she protested. Well, that wasn’t entirely true, but she didn’t want them buying her a bunch of stuff. “Thank you.” She couldn’t manage much more around the huge knot in her throat. She felt dangerously close to tears and fought to contain them. “Is it…is it safe for me to go into town?” she asked. The idea that someone might see her and report back to Mason struck fear into her heart, despite the brothers’ vow to protect her.